There are few things in life that can top the love and companionship of a dog. 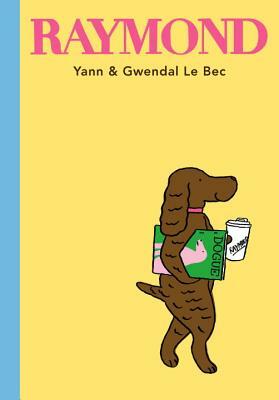 And so it’s only fitting that we attempt to pay homage to our faithful canine friends in the way we know best: with books. 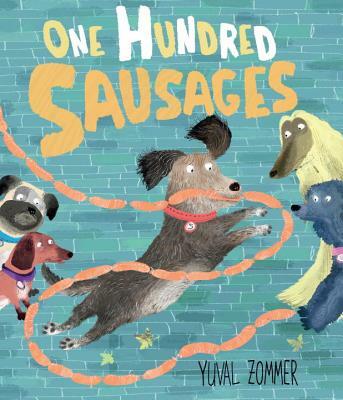 Here are 17 picture books published within the last year that illustrate why dogs are the cat’s meow. It’s bath time and Marlo is not interested. Luckily, he has Duck to keep him company. 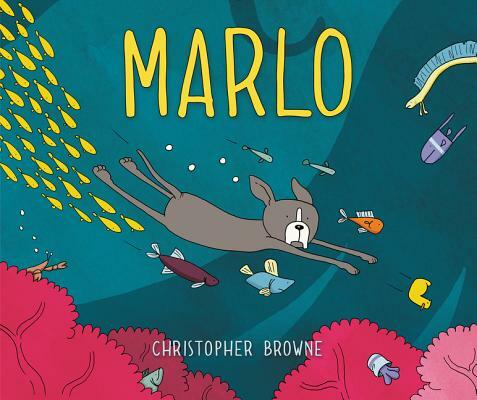 Unluckily, he loses Duck when a tidal wave rocks the bathtub and sends Marlo on an undersea adventure to find his squeaky yellow friend. Wordless, epic spreads show wonders traversed and overcome in the name of rescuing a friend. 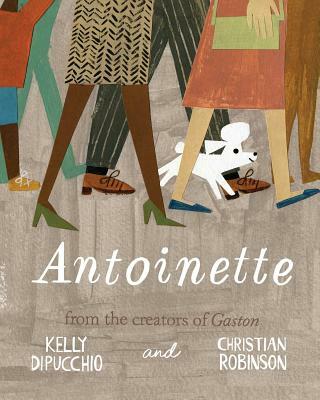 The team behind Gaston returns with a story about a puppy who doesn’t quite look like Mrs. Bulldog’s other puppies. She doesn’t quite act the same, either. And that’s lucky for Ooh-La-La, one of Mrs. Poodle’s pups, who aimlessly chases a butterfly all the way into the Louvre and very nearly to a perilous fall. Thank goodness to Antoinette for following her heart. Eleanor spends her days staring out of her apartment window and dreaming of a dog all her own. Sam, Eleanor’s father, spends his days dreaming of performing his juggling act on stage, but his nerves overtake his confidence night after night. 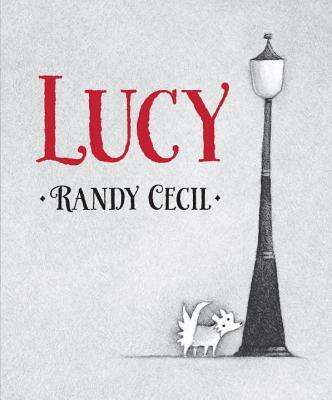 Lucy spends her day roaming the usual spots looking for food and rest, but in her dreams she remembers her former life. A chance encounter sets events in motion that changes each of their lives forever. Poor Louie! He used to get all of the attention and all of the pampering. Now people are throwing Mom parties and there are babies visiting his house and things are just not the same. What will a new addition to the family mean for poor Louie? 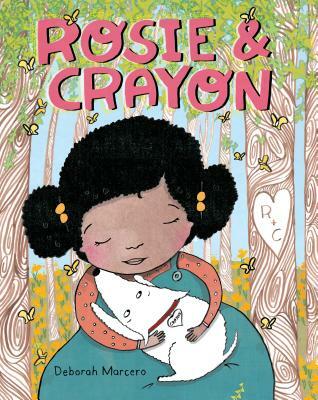 Rosie was Crayon’s world, and Crayon was Rosie’s life. But all that was colorful turns dull when we lose someone we love, and Rosie struggles to find herself without Crayon. The search for a lost cat takes Rosie from her doorstep out into the world where’s she’s reminded of the hope and beauty that still remains all around her. A devastatingly beautiful book. 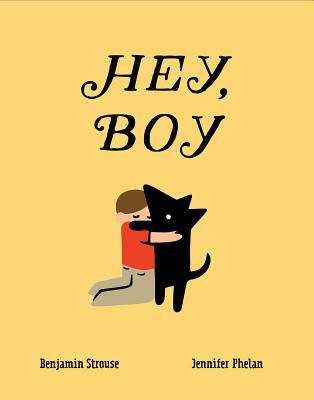 A boy finds a dog and imagines all the adventures they might have in a life together, but it’s not meant to be and the family offers the dog up for adoption. Still, the boy remains devoted to the dog and vows that one day later in life they will be reunited. This story is about the time that stands between us and those we love, and what we choose to do with ourselves when it’s not our time yet. Here are Molly, Fluffy, Oatmeal Raisin Cookie, and the Dog of Destiny. What ho! They play at the dog park. What ho! They find a squirrel, but the squirrel takes their ball. Time to enact a plan. Playfulness abounds in this story from the dog park. The sausages have all gone missing and Scruff is a wanted dog. But just because he likes to frequent the windows of the Saucy Sausage doesn’t make him a criminal. The chase is afoot and it will take every hound in town to crack the case. 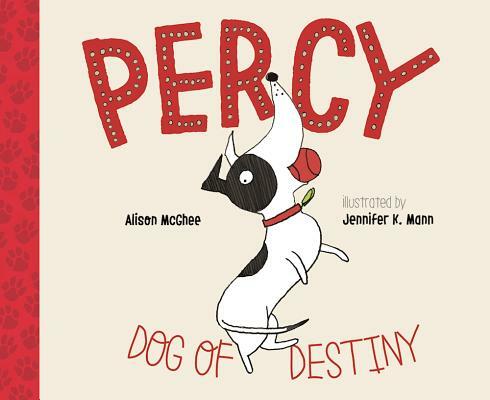 Readers care for a dog in this interactive story by calling it, teaching it tricks, and even cleaning up after a particularly muddy game of catch. 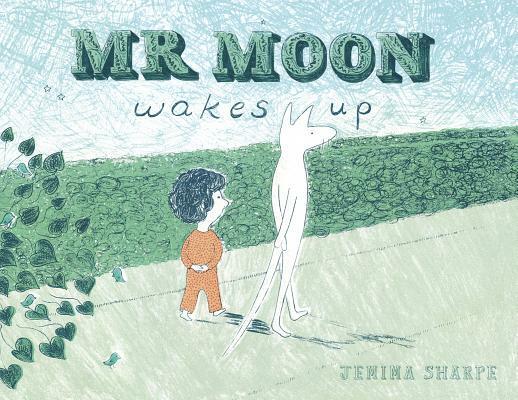 The playful text and thoughtful planning in the illustrations will entice readers to suspend disbelief and care for this sweet companion. We are told in the story’s opening that Raymond is an extraordinary dog, and it doesn’t take long to see why. Raymond’s family is preparing to celebrate his birthday when Raymond decides to sit up and join the family at the table. One logical step begets the next until Raymond is a reporter, reknowned throughout the industry and quite famous the world around. The silliness is taken so seriously (and vice versa) that soon your reader, too, will be wrapped up in Raymond’s story. Baby loves puppy. Puppy loves baby. They do things together like take naps, go on walks, and make messes. But the best parts of anything they do are those things they get to do together. Watch for how wonderfully the two mimic one another in the illustrations, an inseparable pair. Poor Little Louie is sick, and when he’s sick he needs his mom. And when he needs his mom he yells, “Mom!” But Louie’s stuffy nose changes his Ms to Bs and and his dalmatian, Bob, comes running every time. 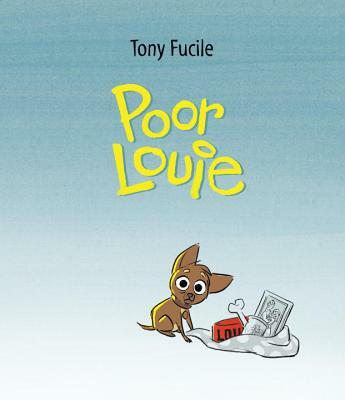 Watch closely in the illustrations for Little Louie’s stuffed animal and how it reacts to the drama. 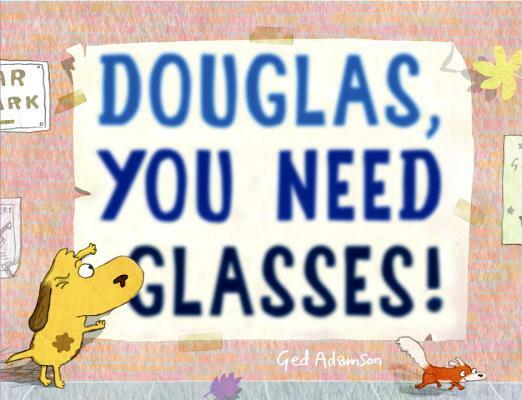 Douglas is a small dog with a big problem: he needs glasses! After his human Nancy buys him the perfect pair, Douglas is amazed as he sees all the things he’s been missing. Every day when Hannah gets off the school bus she sees Sugar, but she’s afraid to pet her. 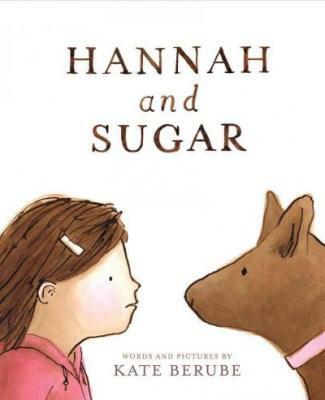 The one day Sugar goes missing and, while the neighborhood looks far and wide, Hannah comes face to face with her fears. 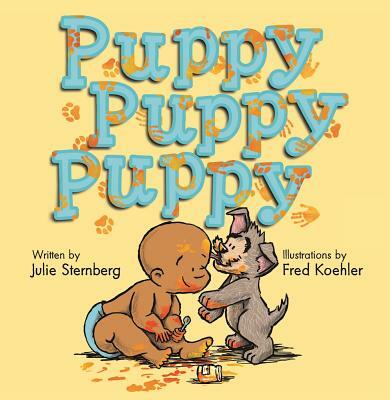 This gentle and loving story welcomes readers to look at fear nose-to-nose and handles sensitivity with great care. Mr. Moon naps and naps and naps. All day. All night. Through quiet. And even through excitement. But one night Mr. Moon walks up and the child follows him into the wallpaper and into an unknown world. What curiosities might happen when Mr. Moon wakes up? 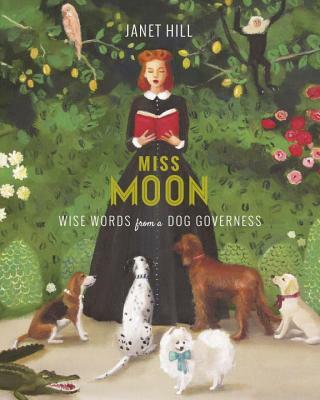 Miss Wilhelmina Moon is a dog governess in charge of sixty-seven dogs of all shapes, sizes and colors. But armed with patience and a passion for teaching, she begins to impart twenty important lessons to her furry friends. 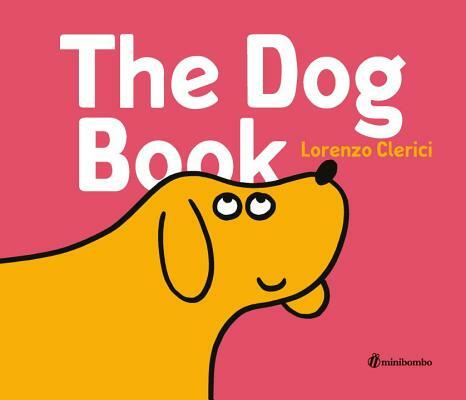 This board book pairs verbs with close-up photos of dogs. When we read “Sit,” we see a dog sitting. 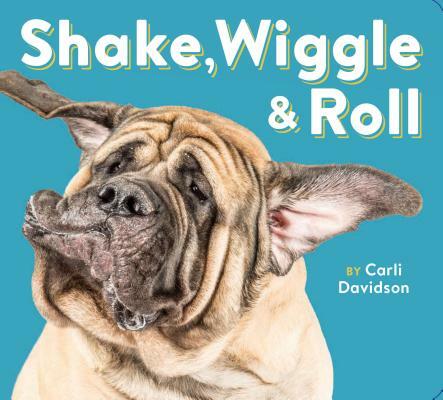 With “Shake,” we see a dog shaking. 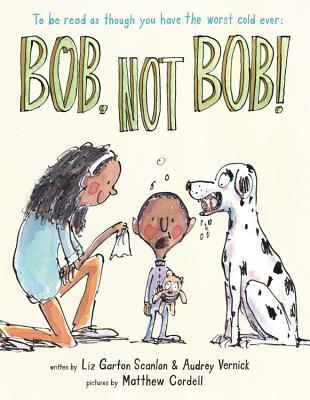 But the real fun happens when young readers can’t resist acting out the words themselves!